Being a pantomime comic is probably one of my favourite things to do, BUT what many people don’t know is it’s starts months before we get into rehearsals. Every year I get the best job and that is to add material into the script to make them current, up to date and fun for all the family. Trends can change like the wind so you need to be able to know what the kids and adults are up to, something my “normal” job lets me do. I’m a comedy variety act through the year and I play in many holiday centres, hotels and theatres in the UK & abroad. This lets me see what material does or doesn’t work throughout the year. After a year of throwing ideas back and forth to the producer and director we have a final script meeting in October. We read through the script, which then gets signed off by the producer, to be sent to the cast. The story will always be the same, but even having it signed off, new material is always worked in the rehearsal room. Keeping it as much up to date as possible. My role as The Comic within the pantomime is to glue it all together. Everyone tells the story and myself and the dame tend to be the crazy ones that keep you awake. I have loads of ways to wake the audience up, Water, water and more WATER and general tomfoolery. Doing my ‘normal’ job I have developed many ways to interact with the audience, which I think is key to a good pantomime. 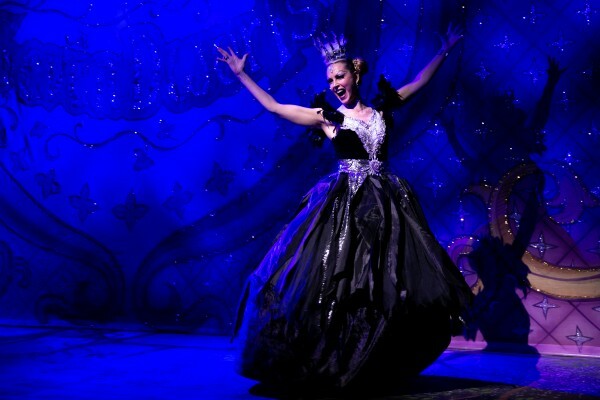 Too many kids and adults are using mobile devices with their heads down and no social interaction, so I like to make sure that when you come to a pantomime everyone is involved and you are with me 100 percent of the time. The relationship between a Dame and a Comic is crucial for the whole thing to work. I generally work with the Dame as a double act and always have done, you have to be on the same page and you have to have a closeness that no one else has in the show, otherwise it’s not believable. You also need to know by instinct what the other performer is doing like most double acts do. My opening spot for Panto has a structure in the script (so the other actors are not put off when learning lines) but I generally work a spot together a couple of weeks prior to rehearsals. This again changes through the rehearsal process depending on time and content. It can also change if the jokes are not getting the reaction you thought they would. This is also the first time the audience sees you, so it’s the most important part for a comic to establish his character and what the audience should expect. I love getting the audience in on the jokes, and “off the cuff” gags. I’m very lucky to be one of the very few characters to be able to go off script (In moderation) but essentially it’s about the story not you. You want the audience to trust you and be on your side from start to finish. I really love doing “Slosh” scenes! These are the scenes when you get absolutely covered in crèam, water or flour… the best “slosh” I ever did was in a prebuilt bathroom, with 2 tons of water being thrown at you from every angle, one of the best built sets I’ve ever had the pleasure to work on. When you do a “front cloth” (which is generally the last thing the comic does before the ending,) I break away from traditional songs like old McDonald for more up to date tracks. I choreograph actions and change the lyrics to suit a more modern approach to this part of the show, again bringing the interactivity to the whole audience and not just the kids. I’ve had my fair share of brilliant kids and naughty ones, which is always a treat after doing a two-and-a-half-hour show. I talk to kids as little adults and never in a patronising way. Surprisingly kids know a lot more than what they generally let on to their parents or teachers, and that’s why I ask them questions that people wouldn’t normally ask them. It’s fun for them and for the audience, it also gives me scope to make it funny, it’s the only part of the show that is unscripted…where anything can happen!. Something I never forget is a majority of the kids in the audience are there for the first time watching a pantomime, let alone being on stage in front of hundreds of people, so I try and make them feel as comfortable as possible and feel safe with their mate they have been shouting at for the past couple of hours. It’s a very special thing to be the person they will remember for years to come telling their mates about the first time they were on stage. A lot of people say I couldn’t do what you do, but to be honest it’s not hard you just need to know what the audience want. A lot of people ask me “where my energy comes from?” honestly, the audience. I have a saying ‘you’re only as good as your audience’, if you give me a lot of energy you will get it back tenfold. It’s hard to maintain yourself through Pantomime season, it’s a very demanding time, a six-week run of 2 shows a day with only a 2-week rehearsal period before that. You have to keep yourself healthy and make time for yourself to rest and take plenty of vitamins. I’ve had an amazing career in Pantomime and in the variety sector. I’m a massive fan of bringing as much variety as possible into Pantomime at every available opportunity, just like the old stars like Norman Wisdom, Tommy Cooper, The Two Ronnie’s and Morecambe & Wise did, These people have been a massive influence on my career and how I write for pantomime, nothing is more smarter then writing a clean joke. We’ll all that said, I couldn’t think of a better way to spend my Christmas……. oh wait, yes I can, on a beach somewhere exotic. Pantomime is and has always been a big part of my life and may there be many more to come. 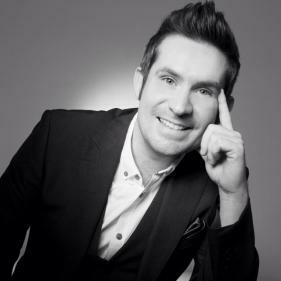 Growing up in Essex Adam started out in the business at the age of six, acting in many TV commercials such as Kellogg’s All-Bran, Daily Mail and Tesco’s. This cheeky chappie went on to college, after three years of hard work Adam graduated and got a lucky break at ITV. He became an assistant to the floor manager for SMTV, he then appeared on TV and Films such as EastEnders, Holby City, Chucklevision, Spooks ,Hex, Miss Marple ,In 2 minds , Hustle ,The Match Silent witness , Powers, Wedding Date , Being Julia ,The Bill and Last Detective to name but a few. Adam also received a BAFTA nomination for a short film called “The Adventures of George the Projectionist.” After doing TV and Film he realised that he missed the buzz of a live audience so Adam turned his hand to presenting and compering. Adam has worked in many parts of the world from Turkey, Egypt, Portugal, Spain, Crete, Canary Islands to name but a few, he has also worked and trained for some major overseas company’s such as Thompson (TUI),Thomas Cook & First Choice. Adam has been doing comedy for over 15 years and is a fantastic comedy writer, Adam has written & produced many shows and scripts for touring acts and theatre shows especially in the variety sector. Adam is a massive fan of variety and try’s to bring this into everything he does, especially in his new DVD out this year, teaching the new generation how to learn the basics of comedy, juggling and magic. 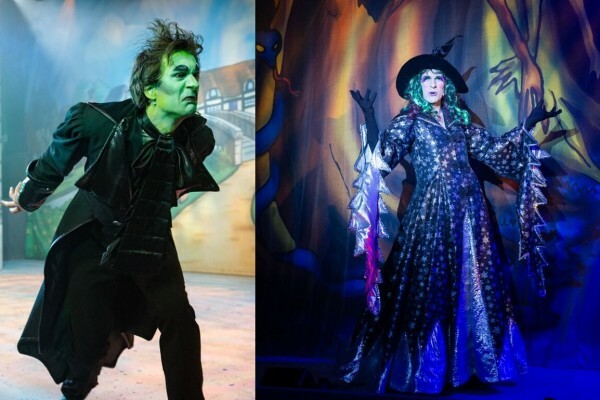 Adam has appeared in many pantomimes such as - Wishee Washee at the Churchill Theatre Bromley alongside Melinda Messenger 2010/11, Jack and The Beanstalk at the Theatre Severn, Shrewsbury 2012/13, Sleeping Beauty at the Theatre Severn, Shrewsbury 2013/14. 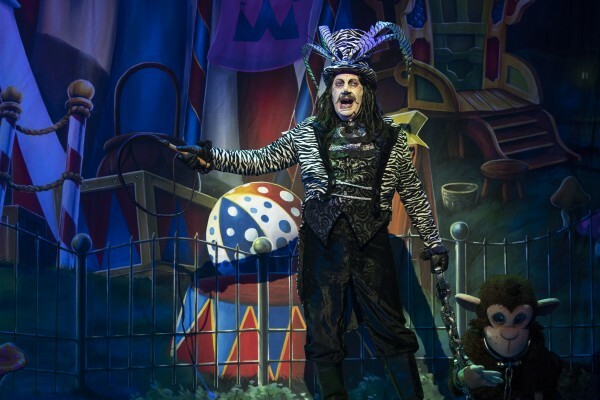 He also played the comedy lead in popular pantomime Sleeping Beauty alongside Vicky Entwistle (Janice Battersby from Coronation Street) for two years running once at Mansfield Palace Theatre 2014/15 and continued on to the Floral Pavilion in New Brighton the following year. 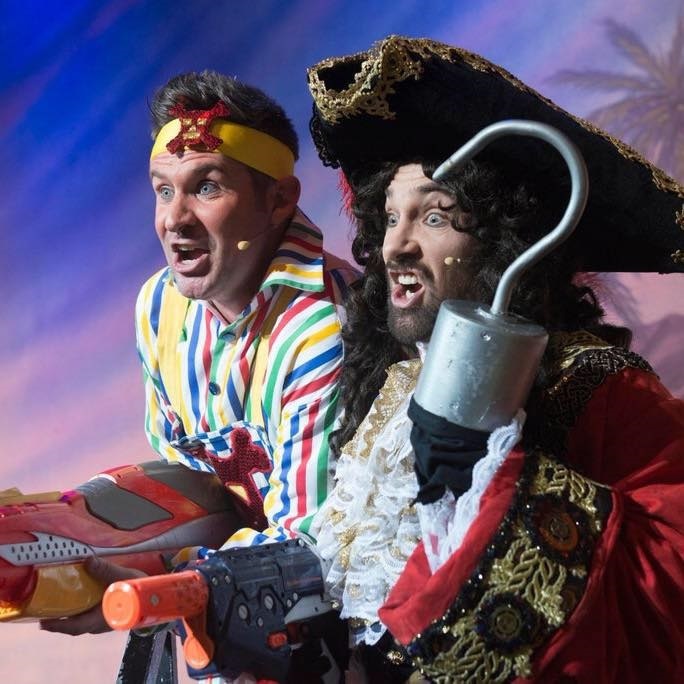 Adam returned to Mansfield last year (2016/17) as Smee in Peter Pan with Marc Baylis (Rob Donovan from Coronation Street) after another record breaking year, he has been asked to come back by (UN) popular demand to play Simple Simon in Jack and the Beanstalk. 2018 sees Adam taking more of a driving seat in a few new projects from a Vintage Variety Show, to a new media company called MOSSYMEDIA.